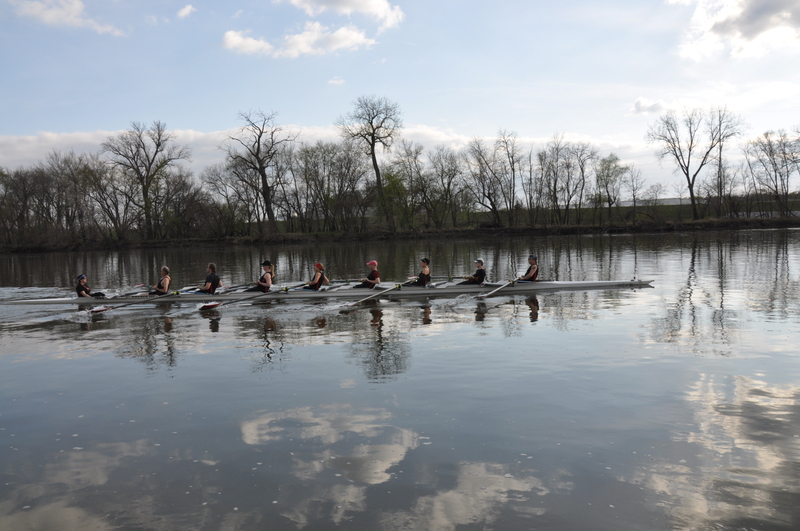 The Des Moines Rowing Club offers rowing opportunities to both men and women, sweep rowers and scullers, competitive and recreational rowers. We include all ages from teens (14 and older) to senior rowers, as well as rowers with special needs. Sweep rowing is in eights, fours, or pairs, whereby rowers holds one long oar with both hands on alternating sides. Click on the link above to find out more about our sweep programs for high-school students, collegiate athletes, transferring rowers, and beginning rowers. Check out the link above to learn about our sculling program, in which rowers hold two shorter oars, one in each hand. We welcome transferring scullers and also teach sweep rowers how to scull in recreational singles, racing singles, doubles, and quads. Our club has a dedicated coach to train high-school students with scheduled practices that focus on both sweep rowing and sculling. See more information by clicking on the link above. Good coxswains are cheerleaders for their crews and ambassadors for the club. While most club coxes currently come from the rowers’ ranks, the club would like to develop talented people who can focus on coxing. If you’re interested in learning more, see our link above. Our most competitive rowers and scullers often travel to other cities and states to compete against other crews. To check out the opportunities for travel, click on the link above. A dedicated team of Des Moines Rowing Club coaches and health professionals is teaching rowing skills to athletes with special needs. If you’d like to support or participate in this program, click on the link above. Regattas around the country need nationally accredited officials to run races safely and fairly. Currently four club members represent Des Moines as United States Rowing Association-sanctioned officials. If you’re interested in becoming a USRowing Official, click on the link above. Currently club members pay for individual coaching as they wish on an hourly basis. Click on the link to find out more.